Athleisure style with a new twist. 60% combed ring-spun cotton/40% polyester, 20 singles 5.1 ounce mock twist jersey t-shirt. Side seamed. 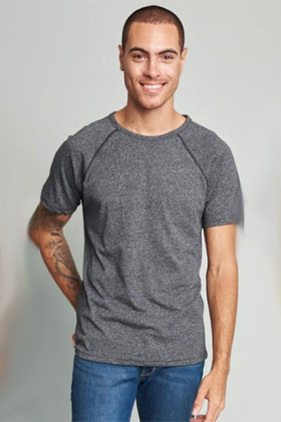 Raglan sleeve with contrast flat-lock top stitch. Self-binding collar. Tear away label.